Born at Pembina, North Dakota on 14 January 1867, son of Elzéar Goulet and Hélène Gérôme, he was educated at the Collège de Saint-Boniface. He received his BA from the University of Manitoba in 1891 and his MA in 1895. He studied law for a few years. In 1900 he was appointed inspector of bilingual schools in the province and Principal of the St. Boniface Normal School. 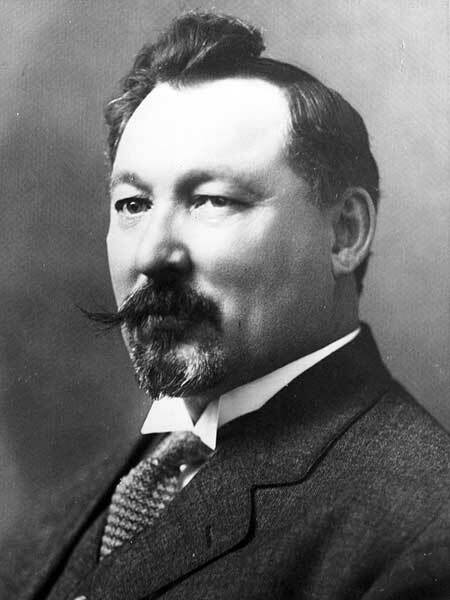 He served as President of the Manitoba Educational Association (1910-1911). He retired in June 1932 and, following his wife’s death, moved to Montreal. In December 1896, he married Lumina Gauthier (1879-1938). They had nine children: Armand Lionel Goulet (b 1898), Maurice Goulet (b 1899), Denys Goulet (b 1901), Joseph Jules Germain Goulet (b 1903), Armande Goulet (b 1904), Joseph Martial Goulet (b 1906), Bernard Goulet (b 1908), Hélène Goulet (b 1910), and Marie Thérèse Goulet. He was a member of the Société Historique de Saint-Boniface and Bon Parler Français. He served as President of the Union Nationale Métisse (1909), and the St. Jean Baptiste Society of St. Boniface. He died at Montreal, Quebec on 31 January 1946.